KUALA LUMPUR: Premium cookware manufacturer Ni Hsin Resources Bhd is on track with its diversification plan as it moves to acquire photovoltaic solutions and services firm Helios Photovoltaic Sdn Bhd (Helios) to pave its way into the solar energy business. “When the acquisition is completed, Helios will be the major revenue and profit contributor to [Ni Hsin]. They have a tender book that is worth up to US$800 million (RM2.89 billion) for projects in the Asia-Pacific region. “When you compare [that] to Ni Hsin’s current revenue of around RM50 million per annum, you can guess or deduce what Helios’ future contribution would be,” said Ni Hsin (fundamental: 1.45; valuation: 0.6) managing director Chen Shien Yee (pic). Ni Hsin announced yesterday after trading of its shares was briefly halted from 11.32am to 2.30pm, that it had entered into a heads of agreement (HoA) with Helios to work out the details of its proposed acquisition of the entire issued and paid-up capital of Helio’s shares. The purchase consideration for the proposed acquisition has yet to be determined. But the deal, expected to be completed by end-2015, would be satisfied by the issuance of new Ni Hsin shares at an issue price of 38 sen per share to Helio’s owners, Lim Poh Sim and Datuk Omar Faudzar. Other details on the acquisition are still scarce as both parties have yet to enter into detailed negotiations on matters pertaining to valuations and shareholdings. They have also not completed their due diligence. The deal is also subject to approval from Ni Hsin’s shareholders and the regulators. Chen said the Helios buy is the best way to enhance shareholders’ value. “If you look at Ni Hsin’s results for the past three years, our profit has not been very encouraging. For the cookware business to grow, you need organic growth and that will probably be a growth of 5% to 10% a year. It would not be exciting for shareholders. The only way to [interest shareholders[ is to venture into a new business with lucrative returns. For us, Helios or the solar power business is one of them,” said Chen. Helios provides comprehensive solutions and services relating to photovoltaic systems which are vertically integrated focusing on the downstream segment of the photovoltaic value chain. Its business activities include the conception, development, construction and operation of photovoltaic systems. 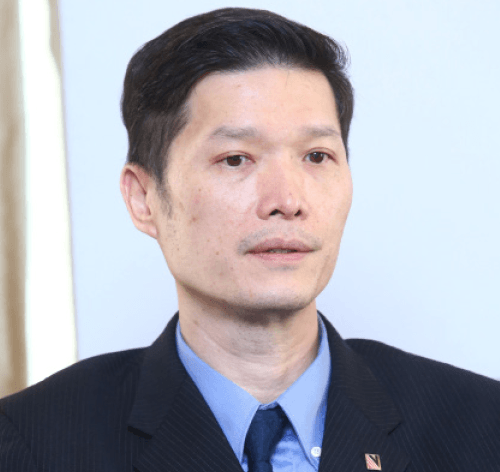 Helios has been awarded the Solar Hybrid for Schools and Villages in Rural Sarawak by the government, to be completed in phases over the next five to six years, said Chen. It is also the recipient of “substantial projects” from University Malaysia Sarawak. Its US$800 million tender book, of which a quarter is from Malaysia, includes developing and constructing utilities solar farms and rural hybrids. Besides the solar energy business, Ni Hsin had also attempted to enter the oil and gas (O&G) scene. It acquired an O&G exploration and production company called Inoco Resources Sdn Bhd in November last year, but was forced to put its plans on hold due to the collapse of global crude oil prices. On the future of the O&G business, Ni Hsin chairman Md Nazir Md Kassim said the company is still positioning itself in the industry . “It is a good time to enter the market. We are constantly looking at opportunities to get into the market,” he said. On its cookware business, Ni Hsin said it plans to tap into the China, Indonesia and Southeast Asian markets to drive “good” orders to achieve its 2015 growth sales target of 10%. Ni Hsin’s counter, which resumed trading at 2.30pm, closed the day at 34.5 sen, down 6.76% or 2.5 sen, giving it a market capitalisation of RM84.3 million. The Edge Research’s fundamental score reflects a company’s profitability and balance sheet strength, calculated based on historical numbers. The valuation score determines if a stock is attractively valued or not, also based on historical numbers. A score of 3 suggests strong fundamentals and attractive valuations.